Congratulations on your engagement and welcome to Manhattan Bride. 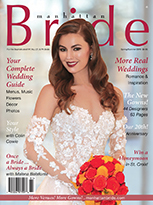 In 2019 — our 20th Anniversary Year — we offer you this Website and our Print and Digital magazines to help you create your joyous wedding. 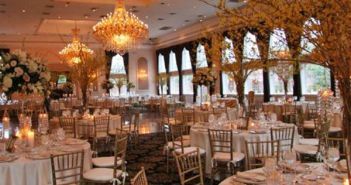 Here are the Venues and Vendors for your wedding in New York, New Jersey, Connecticut, or Pennsylvania. Real weddings at local venues. Here are the newest bridal gowns, photographed in the charming ballrooms and gardens of Hotel du Village. The French wedding is inspired by the artistic beauty of the French countryside itself. Your best bridal beauty look. 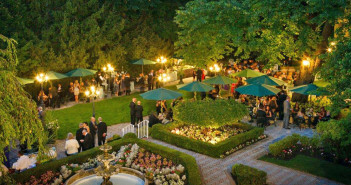 Looking for your perfect Wedding Venue? 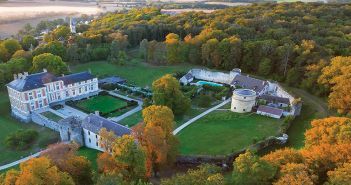 In addition to the area’s 5 Major Regions, now we also have 15 Searchable Categories for you, from Castles & Estates to Garden Settings to our newest additions, Rustic Elegance, Skyline Views, Urban Chic, Vineyards & Wineries, and Yachts. Searching for your Wedding Gown? We keep adding to our new Choose Your Gown section. Search for your gown by over 60 parameters including various Silhouettes, Necklines, Back Designs, and more. For a Great Wedding Celebration … Lively Bands or DJs can keep your party moving … Talented Photographers can capture your special moments … Creative Florists can give you the perfect bouquet and décor … Skillful Makeup & Hair Artists can help you look your best … and Graceful Dance Instructors can help you wow your guests. For your all-important Reception Budget and Wedding Menu, creative managers at the area’s most popular venues share Real-World Budgeting Tips and offer ideas on Creating Your Perfect Menu.